Hundreds packed the Sanford Center in Bemidji. The latest round of public meetings to speak out against a proposed tar sands crude oil pipline through northern Minnesota are over, but you can still make your voice heard until July 10! 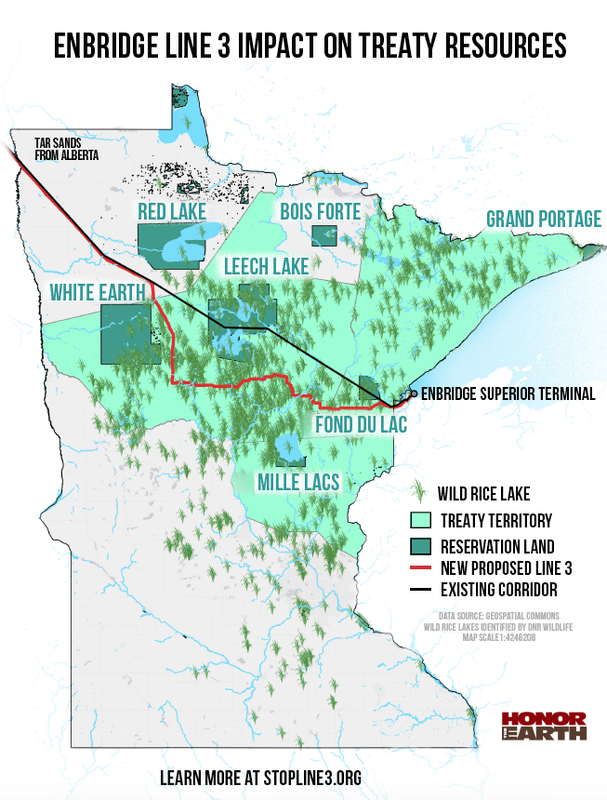 The project is called Enbridge Line 3, and it runs from Alberta, Canada, to Superior, Wisconsin, crossing the length of northern Minnesota and passing near some of our cleanest lakes and rivers.The Minnesota Public Utilities Commission isn’t expected to vote on the project until early 2018, but this is a critical step. The Minnesota Department of Commerce issued a draft Environmental Impact Statement (DEIS) which will shape the debate. The DEIS is deeply flawed. Commerce needs to hear from citizens like you just how bad it is. Here are four quick points that show how bad a proposal it is. Any one of these should be a deal killer. Tar sands mining is doing incredible damage in Canada and adding to climate change. Tar sands mining generates as much air pollution as the city of Toronto. It has created 300 billion gallons of toxic tailing ponds with mercury, arsenic and benzene (and growing). Canada’s First Nations people are bearing a disproportionate pain from this pollution. The new Minnesota route crosses the Mississippi Headwater region. What more needs to be said? The proposed pipeline crosses lands where the Anishinaabe (Ojibwe) have treaty rights to hunt, fish and gather. The draft EIS all but admits the proposal violates these treaty rights. Minnesota does not benefit from this project. Our state’s petroleum use is on the decline. The U.S. already imports more crude oil than it needs. These new pipelines support foreign exports. Here are ways you can still make a difference. Please share with your friends. Check out Stop Line 3 for action items. Sierra Club’s North Star Chapter has a sign-on letter. Sierra Club youth leaders have organized a letter writing event at the Birchwood on Saturday, July 8th from 3-5 p.m. Facebook announcement here. This proposal has drawn strong public reaction. 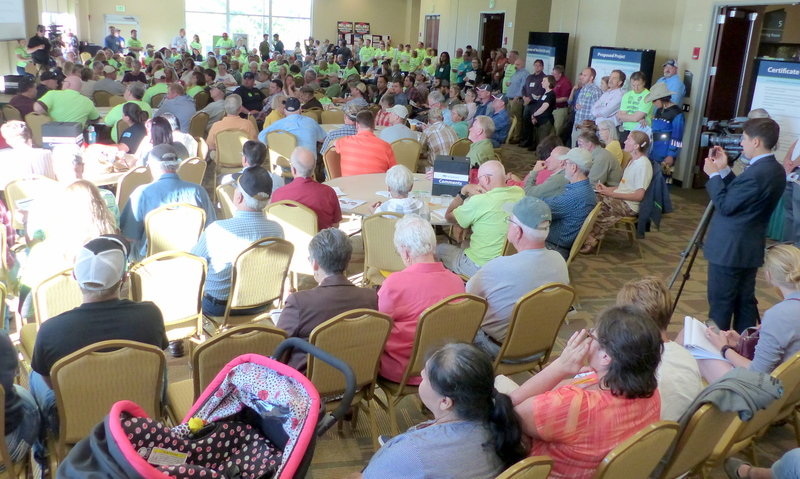 The last of 22 public meetings was held June 22 in Bemidji. It was another jam-packed hearing room, another strong showing by those opposed to the proposed Line 3 expansion, and another time the Department of Commerce had to extend the hearing to give more people a chance to speak. Each hearing generates new insights. Here is what we learned from Bemidji. Roughly 250 people attended the hearing. Humphrey was one of nearly 50 people who spoke. Roughly 75 percent of speakers opposed the pipeline and criticized the DEIS for its shortcomings. The state needs to stand up for treaty rights. A number of people spoke up for treaty rights, me included. The DEIS is not explicit as to whether the Department of Commerce believes the Line 3 proposal VIOLATES treaty rights. It needs to be explicit, including a legal opinion. If Commerce’s conclusion is that this pipeline violates treaty rights, it should be the end of the proposal until and unless Enbridge gets approval from the affected tribes. 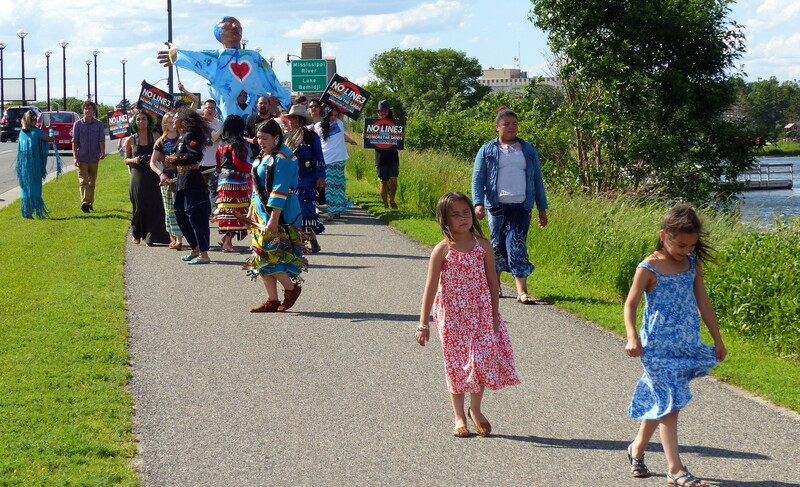 Those opposed to Line 3 organized a march from Lake Bemidji to the Sanford Center, where the meeting was held. The hidden costs are tremendous: Akilah Sanders-Reed said she spoke as a young person. According to the DEIS, it would cost $1.3 billion to remove the old and deteriorating Line 3 section in Minnesota, she said. That seemed to be cost prohibitive for Enbridge. Yet dwarfing that was the climate change costs from the carbon released by tar sands mining. For Line 3, the DEIS put it at as high as $287 billion over a 30 years. (See DEIS Chapter 5, page 443). This is false advertising: Marty Cobenais of Red Lake said Enbridge is erroneously calling Line 3 a replacement project. If it were, he said, they would be taking out the old pipeline and putting in a new one, same size, same route. This is putting in a larger pipeline along a new route. It is not a replacement project. This analysis should focus on the environment, not jobs. The people supporting the pipeline had two main arguments. First, labor representatives said the pipeline would create needed jobs. Second, people who had working relationships with Enbridge said the company was good environmentally. Debra Topping pointed out that the hearing was about an Environmental Impact Statement, not a job impact statement. “Adding pollution to our water is not progress,” she added. Champlin also challenged the statement that Enbridge was an environmentally responsible corporate citizen. She and others brought up Enbridge’s 2010 spill near the Kalamozoo River. (Releasing nearly one million gallons of tar sands crude, it was one of the largest inland oil spills in U.S. history, second only to the 1991 spill near Grand Rapids, Minnesota.) Enbridge did not live up to commitments in Michigan, Champlin said. She asked Commerce for a special chapter in the DEIS dedicated to how Enbridge would live up to its promises.